Heaven and Earth opens with an earthy, grounding tone – a sound that was created by stroking the strings of an acoustic guitar with a cello bow. This assertive sound quickly softens as additional instrumentation is introduced, but remains with you throughout the entire song. Oscillating synthesized sounds, Tibetan bells and gentle choirs all play their part in this deep healing music. 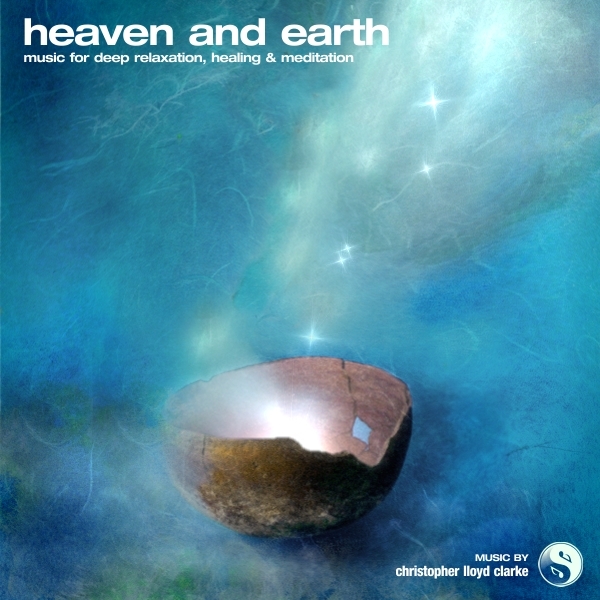 Heaven and Earth is quite an abstract composition - an evolving soundscape, thick with layers of harmonic overtones that are spread out over a foundation of warm, fudgy bass. There is a natural healing center in Sedona, Arizona that displays the slogan “Get Your Issues Out of Your Tissues”. More than a slogan, this is the fundamental goal of their integrated energy therapy. This slogan really got me thinking about how higher energies are channelled into the body during natural healing sessions and I was compelled to create some music that embodied this process; music that would symbolize the merging of healing energies (heaven) with the physical body (earth). As I composed this music, I entered into a state of deep relaxation and entertained various mental pictures, like the image of a masseur - his hands gently kneading deep tissues, and images of light merging with flesh. I’m accustomed to writing music while in a meditative state of mind. I can sustain these light trance states for hours on end if necessary. But Heaven and Earth was a different story. Composing it and mixing it just made me so groggy! My body would become heavy and on more than one occasion I resigned myself to exhaustion and snoozed right there on the floor in my studio. It took over 8 months to complete this music. I shared Heaven and Earth with the Sedona HeartWalk Center (their feedback is presented a little further down this page) and they reported similar responses to the music. Heaven and Earth can be quite enveloping experience. It may make you feel very heavy, it can lead to emotional releases, and if you are in need of healing it will encourage you to take the rest you need. The small puddle of drool on the floor of my recording studio is a testament to the power of this music. Feedback from Phoenix Rising Star of the Sedona Heartwalk Center.